How can you apply person-centred care to your workplace? Do you need someone to open a conference with zest? Do you have a specific project that would benefit from Emma’s consumer input? Are you confident that your staff are really putting themselves in another’s shoes? 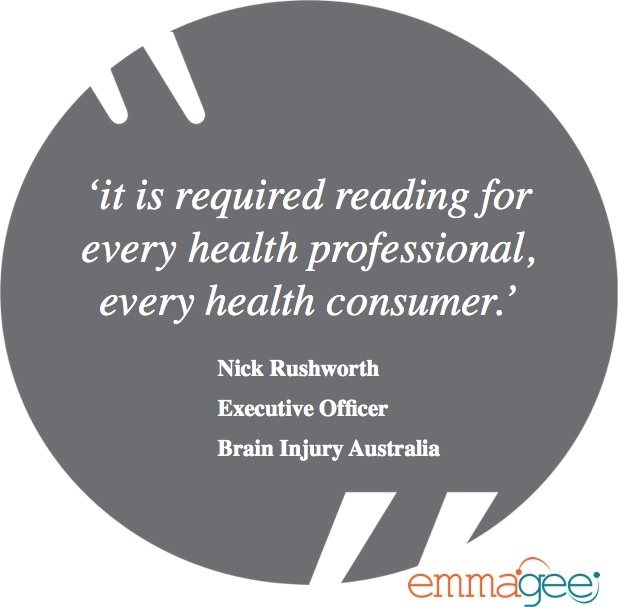 As an Occupational Therapist and recipient of ongoing care, Emma attempts to inspire other service providers to consider key things when caring for their clients and support teams. She reiterates that by adopting a united, collaborative approach we can all improve our relationships and rapport with anyone that we work with. The importance of meaningful occupation, collaborative goal setting, and communication means are also explored. We can promise that listening to Emma will enrich your staff with a heightened sense of understanding and, consequently, an increased level of person-centred focus and care. Every organization, small or big, needs a level of confidence, motivation and resilience to go about their everyday life. By empowering both employees and employers, Emma believes you will reap in the rewards. Encourage your teams to step up, take responsibility, have integrity in their decision-making, and watch those around them be inspired into action themselves. Let Emma share her story and instil the trust, motivation and credit that they deserve, and watch both their business and personal life flourish. Would you curl up and wish life didn’t exist or would you choose to bounce back?! There are always ‘buts’ and ongoing barriers in our everyday lives, Emma will help you start choosing to overcome these. In this fast-paced world we live in we often feel that what life throws at us is out of our hands; we become resentful, tired and out of control. What would it be to choose to overcome all that happens to you? Emma’s presentations will give you a sense of perspective, introduce you to the power of choosing, and encourage you to start owning all life presents so you can truly bounce back. 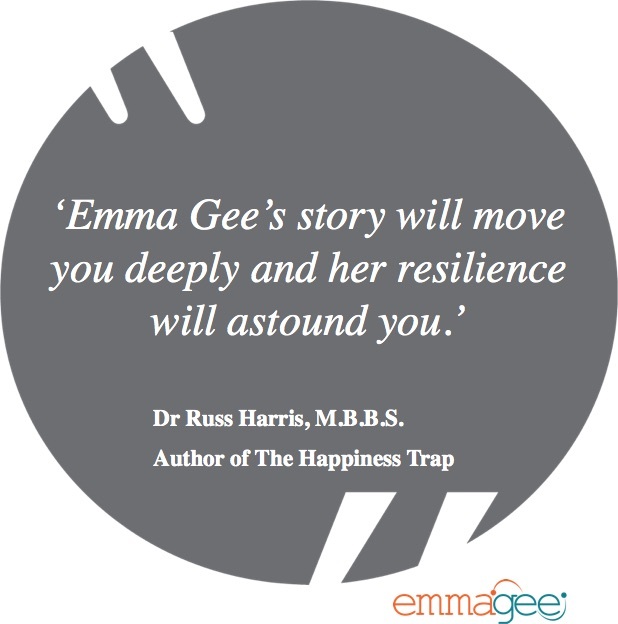 Emma Gee’s authenticity, humour and positive outlook on life, along with her goal-setting and ability to overcome challenges presented to her, are a refreshing reminder to all audiences that anything IS possible. Likewise, her genuine, entertaining and uplifting keynote presentations, workshops, and client-tailored presentations challenge and inspire community groups, managers, student groups, and working professionals to achieve ultimate performances in their business and personal life. Book Emma to step up to the challenges you never dreamt possible. If Emma can do all that she does, why can’t you too? Whether you’re struggling to return to work, go for that run or meet that work deadline, Emma will demonstrate that by having a positive outlook and choosing your spot anything IS possible. Many people get so weighed down by their own limitations and the opportunities and possibilities are smothered. Emma will inspire you into action, causing a ripple effect amongst your own networks. Goal-setting: Are they your goals of your clients? Are they meaningful? To discuss which combination of topics work best for you, contact Emma today. Choose to step up in your own life and book Emma today!